WOULD. YOU. JUST. LOOK. AT. THIS. GODDAMN. PATTERN. I think I may be in love. 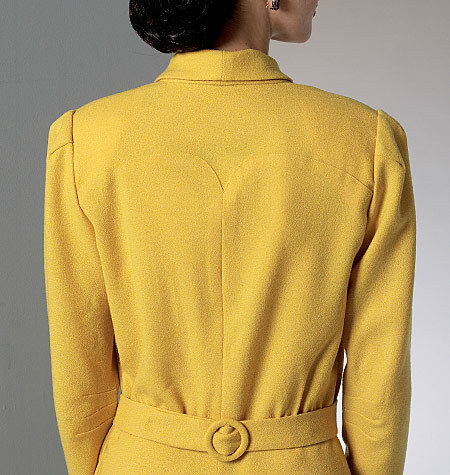 Is it possible to get married to a sewing pattern? If so, you can call me Mrs V9127 from now on. I’ve felt the big four are a little hit and miss lately, so it was an absolute joy to see this pop up in my Twitter timeline today. Naturally, the appropriate freakout commenced. Would you just LOOK at that collar? 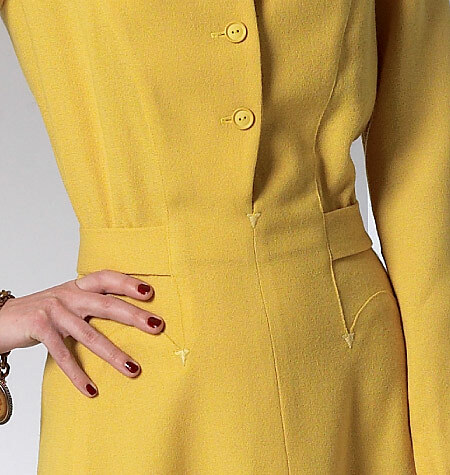 And how about those scalloped pockets? The triangular stitched details on the points are a delightful touch, though I have no idea how you’d recreate that without some fancy-pants embroidery machine. And I have to say, Vogue has just nailed the fabric choice here. Looks like a crepe to me, and the colour is just exquisite. Those buttonholes could do with being bound, but that’s me splitting hairs. And can we talk about the back? The belt buckle, the heart-shaped lines, what look like elbow darts but I genuinely have no idea… sigh. That’s it, I’m in love. Vogue rates it as an “average” pattern in terms of difficulty, so definitely not one for beginners. I do wonder if I’ll struggle with it, given my slapdash nature. This is a pattern which calls for the most precise execution. 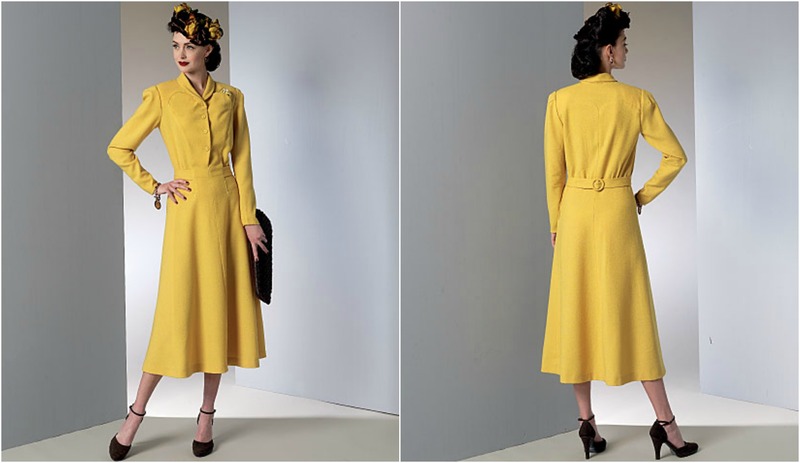 I see a short-sleeved version in an autumnal purple, and I’d definitely need to take up the hem a tad. Honestly, I would wear this to work. They’re used to me coming in looking like an extra from Call the Midwife anyway. First things first, I’ve got some thank yous to dole out. I was incredibly nervous about my last post. Unfortunately it’s still a bit intimidating to admit you’ve been teary-eyed at your desk because hormones are playing funny business with your brain. But, thanks to commenters here, on Twitter, Facebook and in real life, I’m really pleased I did it. Sounds cliche, but it really does feel like a weight off my shoulders. I can’t expect to be 100% just yet, but I feel miles better just a week after coming off the pill, so I have high hopes for the months ahead. As well as Me Made May, there are also some sewing dares afoot. Gillian challenged me on Twitter to not only blog at least once a week but also be positive about myself in some way or another. Killing two birds with one stone here with a speedy make I’m pretty proud of. 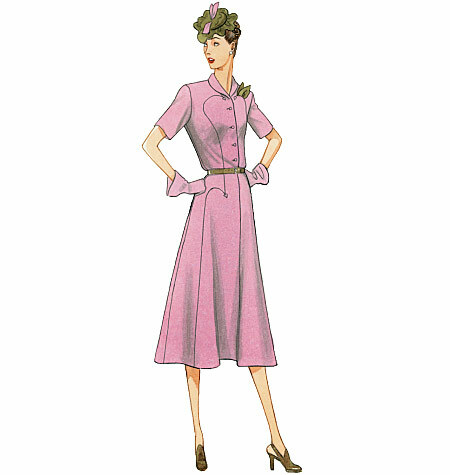 The first time I made Simplicity 2591, a cap-sleeved dress with the kind of in-seam pockets your hands dream of, I was still a novice sewer. As proof of how long ago it was, I present exhibit A: this picture of me on a rock wall with red hair. Making it out of fabric with flocked velvet hearts (sourced via eBay, of course), I thought it was one of the best things I’d ever made. It’s undergone a few changes since then – I got rid of the cap sleeves (too puffy) and, er, broke the zip. When I found some sweet stone-coloured jersey fabric from I forget where now, I immediately thought I should go back to the pattern I last attempted around 3 years ago. It’s the kind of fabric which just screams to be worn as a the comfiest dress in the world. On a roll with this sewing lark lately. 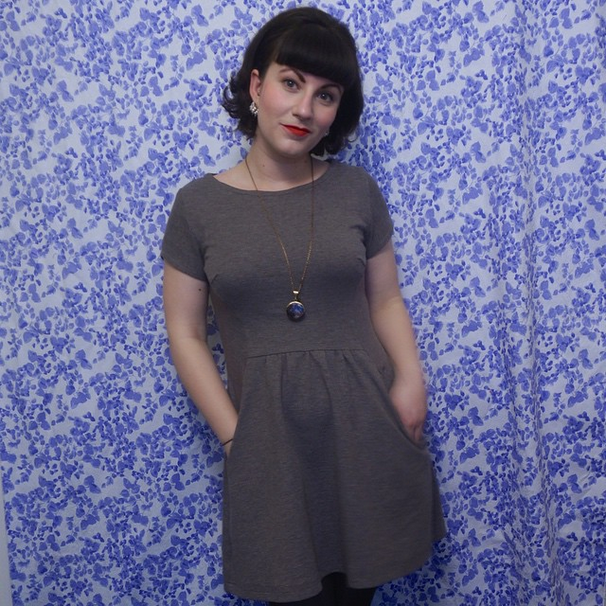 Here's Simplicity 2591 in a grey knit. 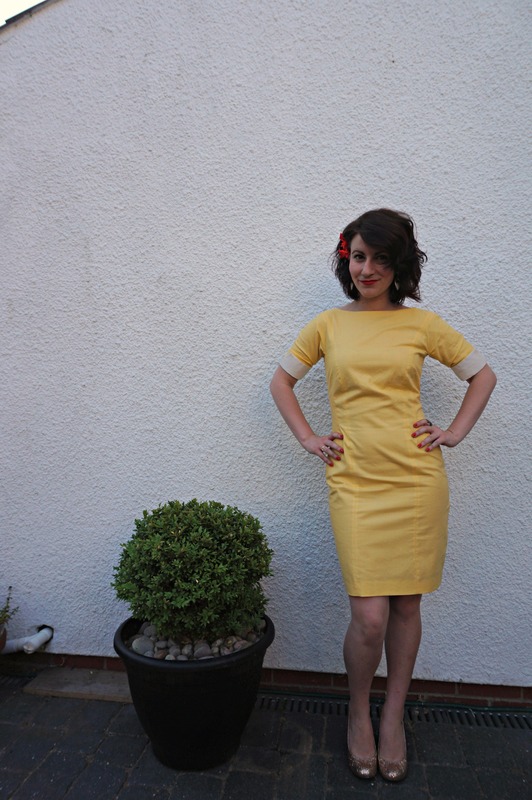 It ended up being just that – it was also one of the quickest sews I’ve ever attempted. Granted, I was on a bit of a roll (I made another, more complicated dress, in the same fortnight) but HOLY CRAP jersey is the best stuff to sew even if my overlocker is back in Cardiff. I just used a zig-zag stitch and we were away! No seam finishing. nothing. I even attempted some top-stitching along the neckline and sleeves to attach the facings in the place – though I cheated because I couldn’t find a twin needle. Seems to be holding up alright so far. Because I was using knit fabric, I made a few changes to the sizing – I could have probably saved a bit of time and gone a size down with the amount I ended up taking in at the seams, but it was nice to have a lot of allowance to play with. I haven’t gone up a size in Simplicity patterns either. Meaning no toiles for me, hurrah! I also used a different sleeve pattern, the curvy tulip sleeve from the Colette Patterns Macaron. I seem to have a real problem with puff sleeves – if I don’t take a wedge out of most puff pattern sleeves, I end up looking like an extra from a Wham video. The ’80s would not have been my kind of era. I much prefer this cap sleeve. The Macaron calls for you to make two and sew them together but I ended up drafting a facing instead so it was less bulky. Also also also – knit fabric means NO ZIP. Hurrah! But because I’m dim and forgot to take a picture of the back, you can’t see that. I didn’t cut the back on the fold, just had a centre back seam. As you can probably tell, I’m really pleased with the outcome. AND DID I MENTION HOW COMFORTABLE THIS DRESS IS? I could sleep in it. I won’t, because it’s too nice for that, but I COULD. And what more could you really ask from the comfiest dress in the world? 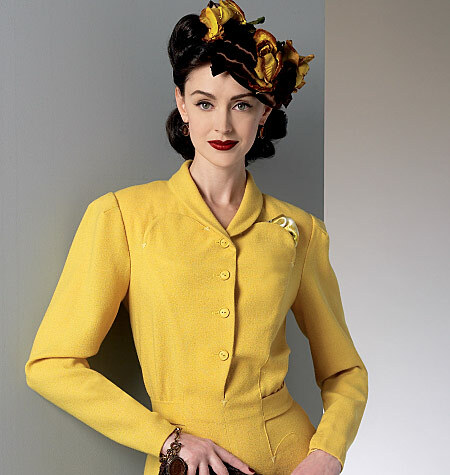 Bonus: the first day I wore it to work, I went around with a pin still attached to the neckline. Sewing accessories are the next big thing, I hear. I have wanted to make a coat for absolutely ages. Basically even though I’ve just noticed the pockets are wonky (I MEASURED AND EVERYTHING WHYYYYY) and I had a minor social media meltdown over the pattern pieces, I’m pretty happy with what I’ve achieved. Oh crikey – I’m not entirely sure what I’ve let myself in for with this one. 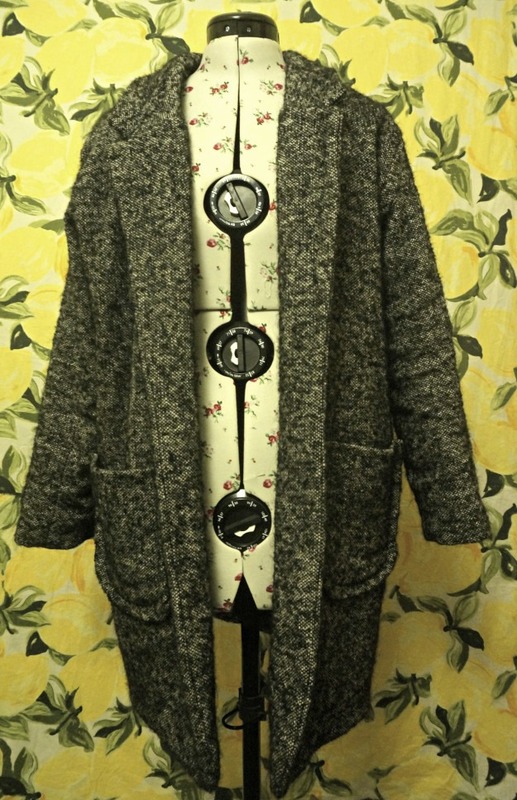 I’ve wanted to make a coat for forever, but have never quite had the guts to actually go ahead and do it. Sometimes I feel like my sewing techniques are a little too slapdash for the more complicated projects. But how do you get better if you don’t try and stretch yourself every now and then. Luckily for me, the “in” shape (basically the coat everyone in London seems to be wearing) is a slouchy, boxy boyfriend coat, usually in varying shades of pastel. Don’t get me wrong, I’m not one to follow trends usually, but it makes it a lot easier to find inspiration when you see it on the Tube every morning. 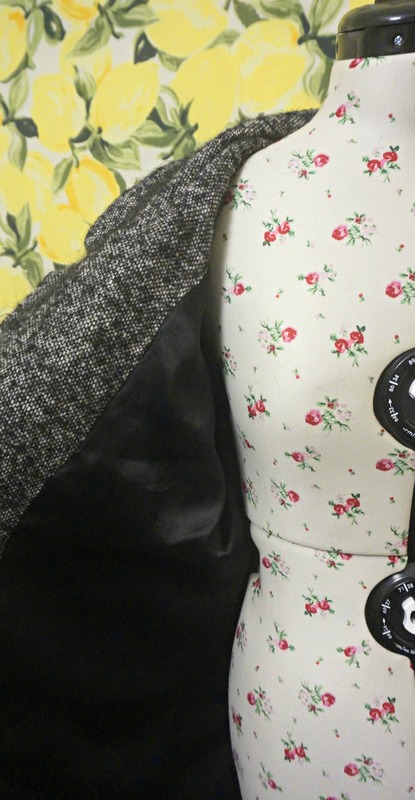 I had a look at a few boxy-type patterns and ended up going for Republique du Chiffon’s Gerard coat and I think I’ve found a great black and white tweed fabric in a shop near me . I had thought about going for some ridiculous colour, but I think I’d rather something a bit more neutral for my first coat. That said, I’m not overly encouraged by this pattern so far. It’s been quite a bumpy ride, and I’m not even halfway through the toile. Being a French company, all of RDC’s patterns are, of course, in French. But some of them are also available in English PDF versions. I thought: great! My least favourite bit. And I've also got to trace some pieces. Buggerit. Unfortunately, all the pattern pieces are still labelled in handwritten French, so you’ve got the job of deciphering the handwriting as well as matching the pieces to the English in the instructions. They do have a key, but a couple of the pieces aren’t numbered, which makes it a bit confusing. Also, I really wasn’t keen on having to tape the pattern pieces together and also trace them afterward. I’m told this is common with French patterns, but I’m a firm believer in not having to trace if you spend an indordinate time taping the pieces together. This is literally the view from my sewing station #bpsewvember folks 😩still tracing out the pattern pieces for my Gerard coat and made such a mess in my room. *sigh* I don't even have a good view out of my window I'm afraid. Definitely my most lacklustre #bpsewvember post to date! On top of this, because I’m a bit thick when it comes to instructions anyway and keep getting confused, the toile keeps going wrong. I’ve sewn wrong bits together, got confused by which pieces they mean (I really wish they’d referred to the numbers in the instructions) and just made a bit of a mess of the whole thing so far. I wish this was a more positive update of the coat-making! But I’ve had a super-frustrating evening and I haven’t even begun fitting the damn thing yet. I’m kind of worried the shape is going to look awful on me and I’ll have to scrap the entire thing. Every now and then, you get to sew something a bit special. I did a little scream, scared my housemates, danced up and down the stairs… and then told him OF COURSE I BLOODY WOULD. Said wedding is now just under a month away, so it’s been full-speed ahead on the dress. It took me the longest time to decide what I wanted to do. I had hoped to do something akin to Gertie’s recital dress or , especially when I found the perfect burgundy polka dot flocked tulle. In the end, I’ve stuck with a strapless number, using the strapless party dress from Gertie’s book. Strapless dresses being what they are, I wanted to make sure the bodice would fit me so I used it as an excuse to make ANOTHER dress from the pattern with a slimmer skirt. Hey, you can’t have enough floral numbers in your wardrobe right? I wore it out the other night and I can confirm: it fits. And it stays up. Hurrah! I’ll post more details about the construction in a later post. I’m working on the circle skirt right now and will be sure to update you once it’s all done. In the mean time, I wrote about sewing for the Guardian’s Live Better network today! It’s been a sewing-heavy month for us – earlier this month, I got to write about Me Made May. Yay sewing! Well, hello there, dear readers! Long time, no see.